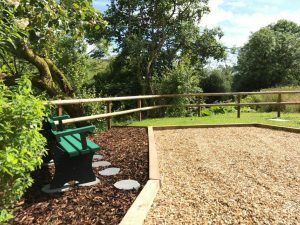 Riverside Cottage, Boreland, Annandale and Eskdale – Not just for driving through! 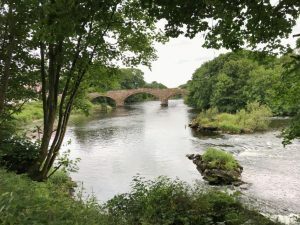 We’ve driven through Annandale and Eskdale hundreds of times, usually passing through on the M74 Motorway heading off on or returning from our travels. 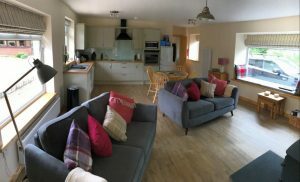 This time we decided to explore the area and base ourselves for four days at the ‘new to the market’ Riverside Cottage. To be honest we had left things late in booking our break and stumbled upon Riverside Cottage by chance – how lucky were we? 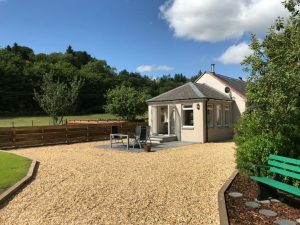 Occupying an impressive riverside location in the small rural village of Boreland 7 miles north of Lockerbie this two-bedroom cottage benefits from stunning views of the surrounding countryside. The property features an open plan kitchen/dining/living area and a fabulous and tranquil sunroom which opened out onto a patio area. 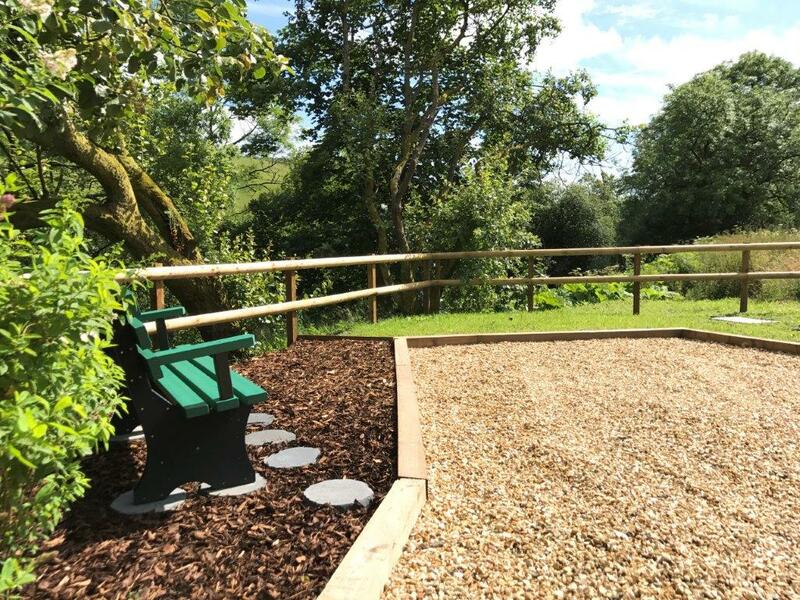 The cottage’s location is not only a great base for visiting local attractions, cycling and walking it is also perfect if you just want to relax, unwind and enjoy the peace and quiet of south west Scotland. We manged to fit in a bit off everything. 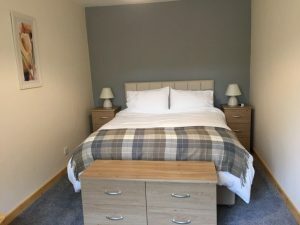 We always look for that little bit extra and comfortable self-catering luxury accommodation set in a quiet, rural location. To get this at a riverside location was special. It’s been a busy few months for us so the cottage was perfect to relax, enjoy some fresh air, recharge our batteries and cosy down in the evening with a few gins and a box set! The cottage is set off the main public road, and accessed via a private road which also leads to the owner’s house. Although Kate and Max are right next door, you wouldn’t know it. The cottage has been carefully planned and everything is orientated to provide you with privacy and sense of being on your own. 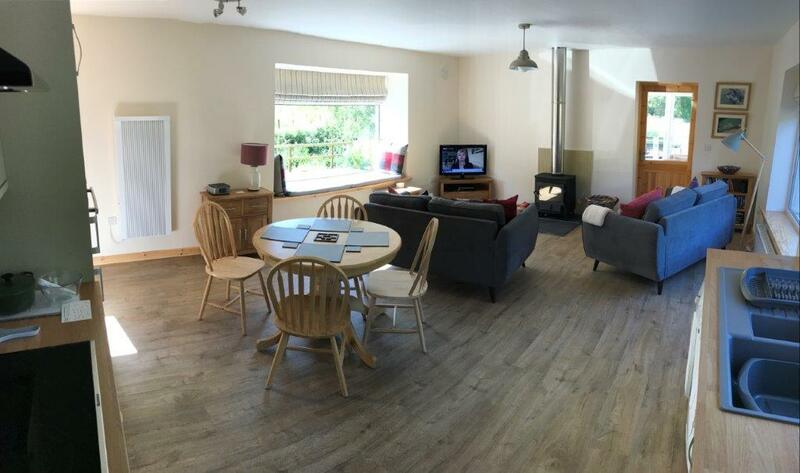 The living area offers wonderful views of the outside and is warm and comfortable with a wood burning stove, two sofas and a window seat looking out over the river. 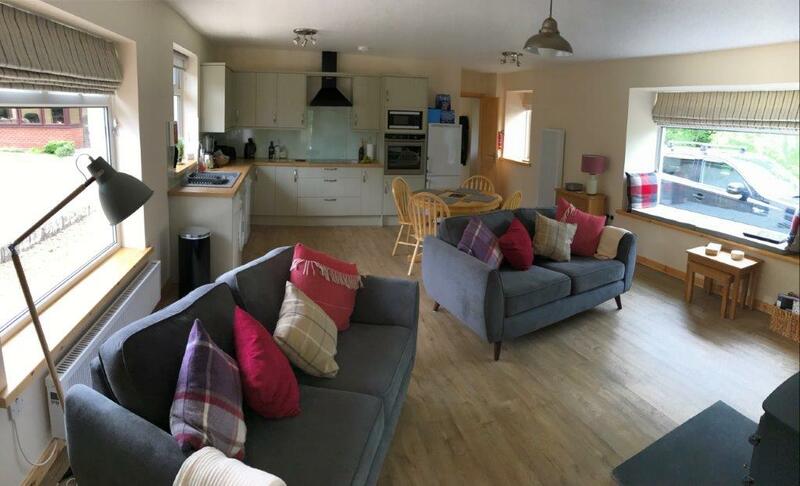 The kitchen area is again spacious, light and cosy and offers views of the river and surrounding countryside. Everything was brand new and nothing has been forgotten. There is more than enough crockery, cutlery and every utensil you could ever need! A bonus for anyone staying here is having Kate right next door. She also runs a catering business and offers guests delicious home cooked meals which are ready just to pop in the oven or heat up. Although, we’re pretty handy in the kitchen, we gave Kate’s food a try and loved it. Having a home cooked meal waiting for you when you return from a long day out was fantastic – we would highly recommend the Moroccan Chicken Tagine; very tasty indeed! The sunroom offers a peaceful space to chill out, put your feet up, read a book perhaps or just enjoy the views. We did all of them, including spilling out onto the patio one day when the sun was very kind to us. The bathroom has a large walk-in shower, built in WC and wash hand basin and benefits from under floor heating.? A key plus point for any place we stay is how good the shower is and Riverside is up there in terms of quality and power – a great refreshing start to your day. 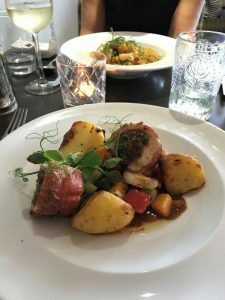 Out and about we would recommend stopping off at Brodies Restaurant in Moffat – offering a coffee lounge environment throughout the day and a relaxed restaurant, wine bar in the evening – it was perfect for us. 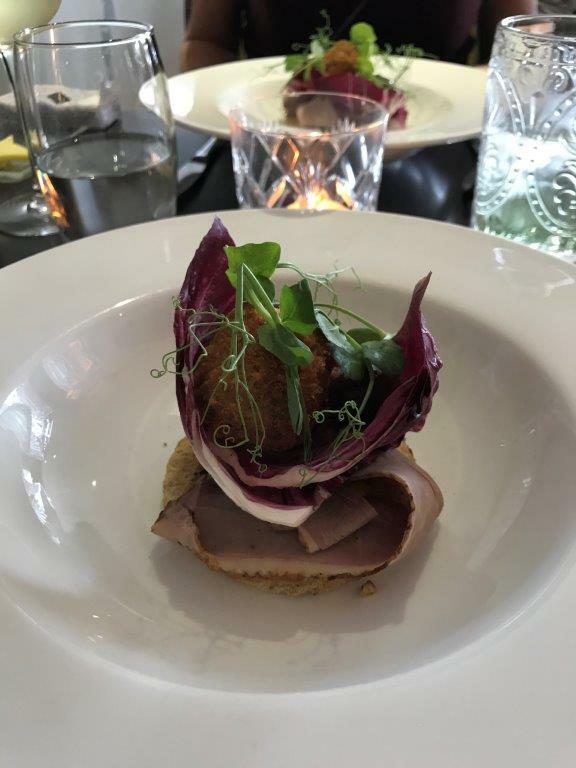 Sunday lunch was particularly impressive with a real fine dining feel about it. 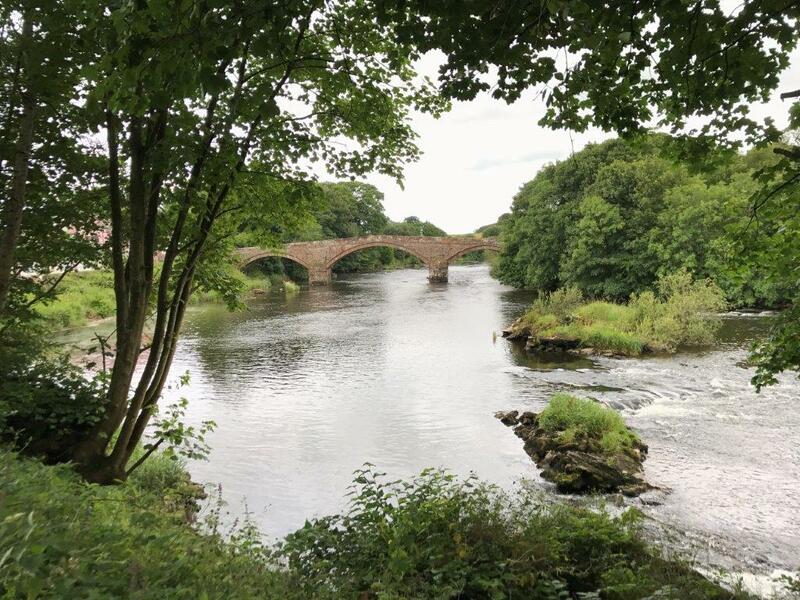 We have only just started to get to know Dumfries and Galloway and to appreciate its diverse landscape, fascinating history, amazing wildlife and outdoor activities. There were a couple of short, circular, local walks right from the doorstep of the cottage which take 30 to 60 minutes, but we never had time to give them a try. 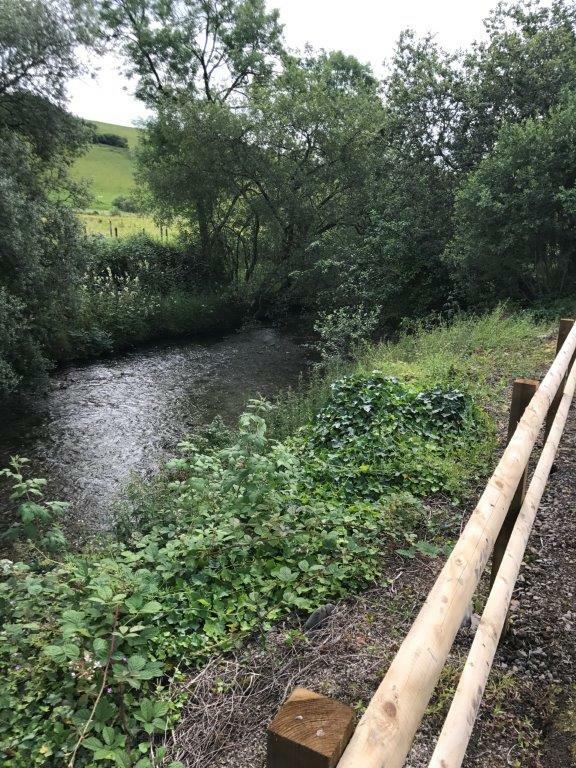 We did tackle several nearby walks only a short 10 to 15 minute drive away including Eskrigg Reserve, Castle Loch on the outskirts of Lochmaben and Dyke Farm Nature reserve. All were perfect to unwind, enjoy the scenery and explore the wildlife. A little further afield we had an amazing encounter on the Annandale Way. Shortly after setting off from Annan on the east bank we spotted a ripple in the water. 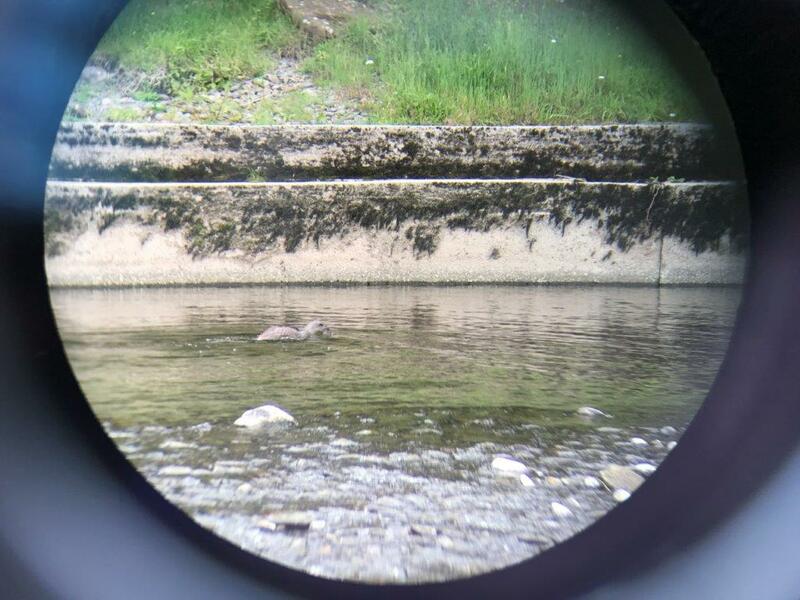 For the next 15 minutes, we sat and watched an otter overturning rocks and munching on the fruits of his labour! He knew we were there, but didn’t have a care in the world – this was a real highlight for us. 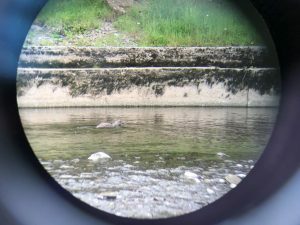 Sadly, our camera was still back in the car, but a ‘heath robinson’ set up with an iPhone and binoculars captured some memories – sadly video too big too upload! After all this outdoor activity, there was no better way to end the day than to fall asleep (with the window open) to the relaxing sound of the river. 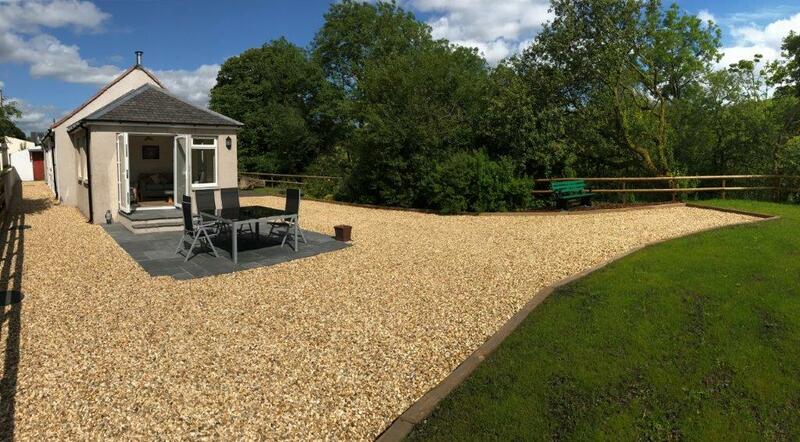 Boasting wonderful views surrounding countryside, the main bedroom offers comfortable accommodation, with a king size bed. Even more impressive was waking up and looking out the large picturesque window to see horses galloping through the fields. This is a new venture for Kate and Max and they have just finished the renovation and are putting the finishing touches to the outside, including the final coat of paint, which will make a real difference. 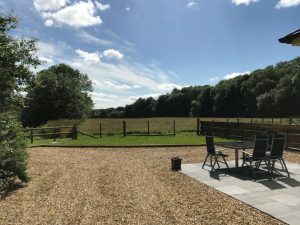 The inside finish and outdoor space is very impressive and certainly on par with many five-star accommodation cottages we have stayed in across the UK. Kate and Max should be proud with what they have achieved so far. Overall, Riverside Cottage was perfect for us and we’ll certainly be visiting again, hopefully by then the tourist board will have visited and given Kate and Max the accreditation they deserve!